Engel Coolers vs Yeti: What are the differences? Technology is a marvelous thing, but it has its limitations. You may be using your cell phone as a GPS, only to have the battery cut out. Or there are other AC-powered gadgets in your supplies that have run out of juice. Instead of being stuck without any power, you should look into purchasing a portable power supply. Still, when you begin your search, you’re immediately overwhelmed by the options. 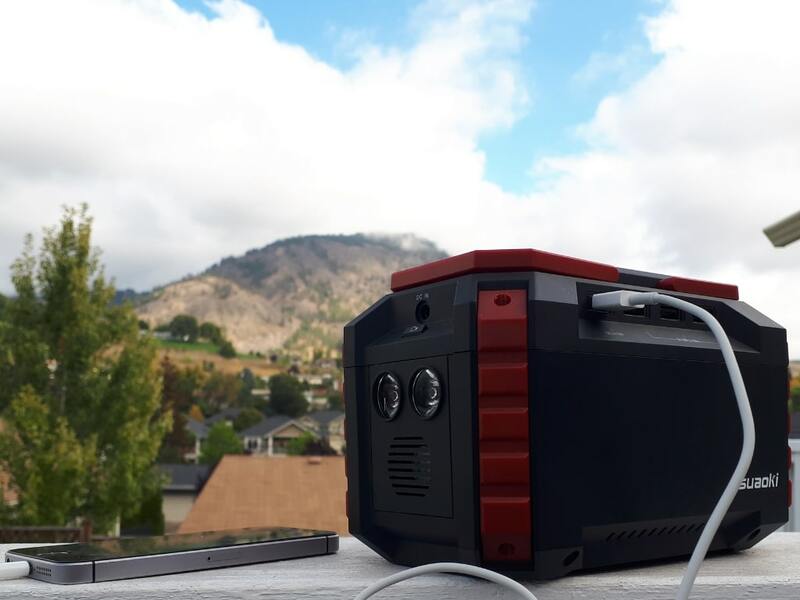 The Suaoki portable power station might not be as slim and light weight as a standard cell phone power bank, but it has a lot more features that can come in handy if your camping, boating, fishing or if the power is ever out at your house. Your not just charging your phone with this power station, you have a full AC outlet, flashlight and multiple USB ports with this unit. The Capacity of the Suaoki is very good, you can charge your laptop, phone, tablet etc. all at once with multiple AC/DC/USB outputs. All the outlets are sturdy and the cords don't feel like they are falling out. One of my favorite features is having the ability to recharge the power station with Suaoki's solar power charger which you would need to purchase seperatly. If you are camping for several days without a power supply it might be a good idea to purchase the solar panel on amazon. 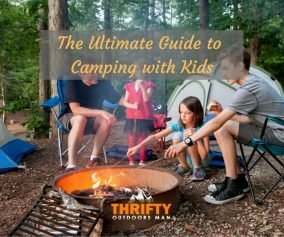 Having a built in flashlight is another great feature to have around the campsite and in a power outage at home. The flashing light would also be useful in an emergency to call for help or if you do ever get lost on your camping trip. This power bank comes with a power cord for charging via AC outlet and also a DC 12V car charger that is ideal for car camping. There are a few other cables/adapters that are included to cover pretty much all options of charging the power station and charging your electronic devices/tools. It would be nice if there was a built in storage for all the cables and adapters but it's not something that's super important, just nice to have. A downside would be the size of this charger is probably too big if you are going hiking and need to carry all your gear with you, but if you are going camping and taking your vehicle, than this will not be a problem. For a reasonable price and slim size, the Anker PowerCore is a perfect choice for those seeking quick charges for multiple handheld devices. The PowerCore weighs as much as a can of soup, according to the company, yet has the capacity to charge an Apple iPhone seven times, a Galaxy S6 five times, and a iPad mini twice. The new technology (either Voltage Boost or Qualcomm Quick Charge depending on the model) allows for the charger to recharge itself rapidly, so you can get back to using your devices quicker. Plus, there is the industry-leading 4.8A Output to sweeten the deal. A downside would be the limit of 2 charging ports. If it is not just you in need of a charge or two, then this can become rather inconvenient. Should that happen, consider the larger 26800mAh﻿ model. It’s cheaper than buying two 20100mAh ones. There are a number of reasons why the ChargeTech Portable Power Outlet is a wise choice. You get a fantastic combination of size and capacity, matched with a justifiable price. The ChargeTech is roughly 97 watt-hour (Wh) capacity. Simply put, you can charge a mid sized laptop once or twice, depending on the size of said laptop’s battery. The other plus is that the ChargeTech is about the size of a small hardcover book and weighs around the same too. At only 1.56 pounds, you can pretty much take it anywhere. Because of this, it is about as portable as a laptop computer—but functions with less noise. The one thing you want to watch out for with this charger is how much heat it puts off. Do not leave it unattended while charging, just in case. 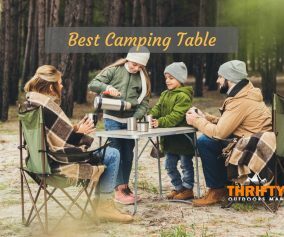 Even though the portable power outlet has received safety certifications and uses Panasonic lithium-ion battery cells, you can never be too sure when camping in a dry area. You should also be careful about handling it. There’s nothing considerably “rugged” about the ChargeTech Portable Power Outlet, and the casing is prone to scratches, fingerprints, and scuffing. However, in terms of output and performance, this is one of the best on the list. Although the EasyAcc Rugged Outdoor Power Bank is not light enough to be used for everyday purposes, it does help you take your outdoor adventures to the next level. This portable power supply is durable and waterproof. With an IP67 rating, the EasyAcc can be immersed in 1 meter deep water for up to 30 minutes without receiving any damage. The battery pack is also surrounded by thick rubber casing that is CE, FCC, and RoHS certified to protect it from falls and other shocks. Other popular features included in this power bank are the covered charging port to keep it clean, the LED flashlight, and charging meter. The flashlight has various modes: regular beam, flash, and SOS lighting. For those climbing mountains or venturing into slightly more extreme regions, this power bank could be a lifesaver in more ways than one. The manufacturer states that the EasyAcc Rugged Outdoor Power Bank can charge an iPhone up to 7 times. A Galaxy S6 can be charged up 5 times. There is a combined current of 3.4A to charge devices up quickly. As for the power bank itself, it will require about 12 hours. It is rather bulky. You wouldn’t want to carry this in a purse or daypack. There have been multiple reports of the casing coming loose overtime or the power bank dying in the middle of a charge. There are two sizes that most people opt for with the Goal Zero Yeti—the 150 or the 400. The 400 Solar Generator is going to be the focus of this review. Weighing in just under 30 pounds, this is not the kind of portable charger you can lug around with you all day long. The lead-acid battery that powers the Ground Zero is, well, like lead. However, this generator can charge a gaming laptop several times and even run a 75-watt television for about 4 hours non-stop. The Yeti powers up to 300 watts continuously and boasts a 600 watt surge capacity. The other thing that makes the Goal Zero Yeti Solar Generator a smart pick is the additional features. First, along with two AC outlets, you also get 3 DC-outputs. You can even get solar and vehicle attachments (sold separately) to keep the battery going longer. The downside to the Yeti Generator is definitely the bulk. 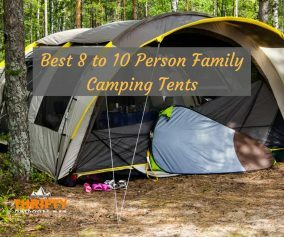 If you do a lot of motorcycle or car camping, having one of these handy isn’t an issue, because you can just keep it in the car or outside of your tent. In fact, it would be ideal. Hook it up to a couple portable solar panels, and you’d have endless energy. However, if you backpack a lot, consider another lighter, more viable option. Tired of having to pre-charge your power banks before going on an adventure? The SOKOO Portable Solar Charge can change all that. Though you may be thinking that a solar panel would be highly fragile and not all smart for hiking, this model will make you see differently. The SOKOO charger is encased in durable PVC material and is even water-resistant. A sudden rainstorm or high-humidity areas will not harm this unit. In terms of portability, the compact size mean it can be slipped into any space or, using the copper-alloy eye-holes, you can easily attach it to anywhere there’s a lead or carbineer. It’s also very lightweight—coming in at only 17.5 ounces. However, while you get immediate access to a charge no matter where you are, the SOKOO (along with many of its competitors) only has two USB charging ports. That can be a turnoff for those who were hoping to power other kinds of devices. Still, you can expect those two devices to charge up rapidly, thanks to the Smart IC technology that detects and monitors how fast and how much charging has to be done. This simultaneously protects your technology from overcharge and overload. In fix, the SOKOO is an ideal solution. Plus, the price and durability make it smart for those times when another power bank has ran out of juice. 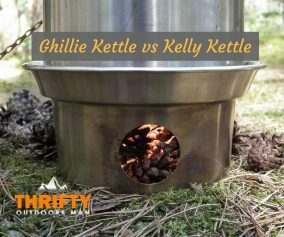 This is a truly innovative idea for people who love roughing it and minimizing how much they have to carry or make room for. The backpack itself is quite roomy and capable of holding a laptop, tablet, clothes, a camera, and other things without an issue. There is a zippered pocket designed for your phone and charging cable too. The last thing about the backpack construction that is great would be the ventilation system. High density EVA foam, mesh covering, and chest shock absorber complete the backpack. Now, for what you’re interested in—the removable solar panel. There’s a built-in smart chip that allows the panel to monitor your device while charging to prevent overcharge and overload, as well as an automatic start function upon connection. The backpack and charger are both water resistant (IPX3 rating). Furthermore, the 22% high efficiency panel is covered in a protective anti-scratch coating and wrapped in PVC fabric. The solar panel capacity is 6.0V/7 Watts, giving you the ability to power up your phone, tablet, or any other 5V device. However you look at this—in terms of eco-friendliness, the ability to go anywhere and have a power supply, or being able to minimize your luggage—this is a justifiable buy that will be incredibly useful. Moreover, the price is pretty decent, considering you’re buying both a bag and solar panel. Capacity: How long are you going to be away? Most portable battery packs are measured in milliamp hours (mAh). However, you’ll notice that mAh is often converted into something more understandable like 10,000mAh = 3 smart phone charges, or 20,000+mAh can charge a smartphone 6-10 times. Size and Weight: Will you be moving around often? How much gear are you bringing along? Most battery packs come with dense, heavy batteries that will undoubtedly weigh your backpack down more than necessary. The higher the charge capacity, the more a traditional portable pack is going to weigh. If you want something lighter, consider a portable solar-powered charger. Price: What is your ideal budget? Some portable power packs can cost as little as US$5, while others break the US$1000 mark. By the way, if you want something decent that will last through traveling and trekking, it’s going to cost somewhere between $100-$400. Durability: Do you need a waterproof pack or no? Is it going to break if you accidentally drop it? Will sand get into the crevices? Is it crush-proof? 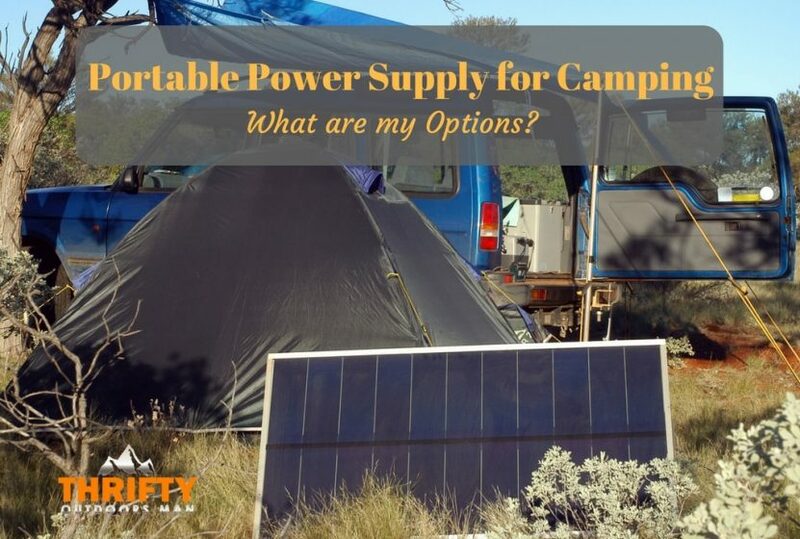 When purchasing portable power supply for camping or a generally nomadic lifestyle, there is a lot to keep in mind. Depending on how and where you travel, some gadgets may be more efficient than others. Some, like the high-capacity yet cumbersome Goal Zero Yeti, are better for those who roadtrip a lot and spend days camping in a single place, while the Anker PowerCore is a decent accessory on day trips. Whatever you need, however, there is certainly a portable power supply for you.